You know how sometimes you hear a theme every once in a while, and you don’t make much of it? But then you hear it five times in a week, and suddenly you say whoah, something’s going on here! That’s how it is for me with trust and innovation. I have now seen enough about their connection that I notice it. Got problems with innovation? R&D not giving you much bang for the buck? Suffering from same-old service offerings? Product un-differentiation got you down? Read on. In Why Victims Can’t Invent Anything, Michael Maddock and Raphael Louis Viton suggest a simple test for the ability to innovate: the old glass is half full, half empty test. If you are optimistic, you are a creator. If you are pessimistic, you are a victim. Guess which one wildly out-innovates the other? 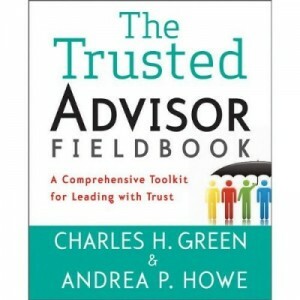 Now marry that up with the profile of trusting and non-trusting people from Eric Uslaner, arguably the world’s leading academic expert in trust. Paraphrasing, high-trusting people believe that life is good, and that they are in control of their lives. Non-trusting people believe life is fundamentally unfair, and that other powers are in control of their lives. You want to increase innovation? Hire optimistic, high-energy people; shun conspiracy theorists. And why does this work? Because they trust each other. Let’s follow this logic further. Trusting each other means people are open to each others’ ideas. Robert Porter Lynch explains the link. Creativity happens, he says, very little by sitting around contemplating. Rather, it comes about from our interaction with others. In particular: people different from ourselves, who think in fundamentally opposite ways from the way we think. If we’re not open to others—if our fundamental approach to others is fear-based, if we come from anger or ego or fight/flight responses—we shut ourselves off from the creative forces that come through sharing those different perspectives. We see them as threats. The bridge is trust. If we can trust the other person, then we can hear and consider their perspectives, as they do ours. Net: communication, creativity, new ideas, innovation. Trust and Innovation: Does It Work in the Real World? Forget the thinkers: who does this? One who can speak to this directly is Ross Smith at Microsoft. When in charge of the Windows Security Team, Ross and wingman Mark Hanson realized they had some incredible talent on the team that was under-utilized. They needed to innovate. 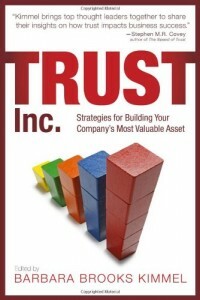 As Ross studied innovation, he began to realize trust was the key to getting there. In the course of the next month, you’ll be hearing from several of these people: Eric Uslaner, Robert Porter Lynch and Ross Smith in particular, as well as others. I think you’ll enjoy reading what they have to say. For now, let’s just notice what they all agree on: the road to innovation goes through trust.